Hi everyone, remember mummy was going to make strawberry jam? Do you like strawberry as I do? 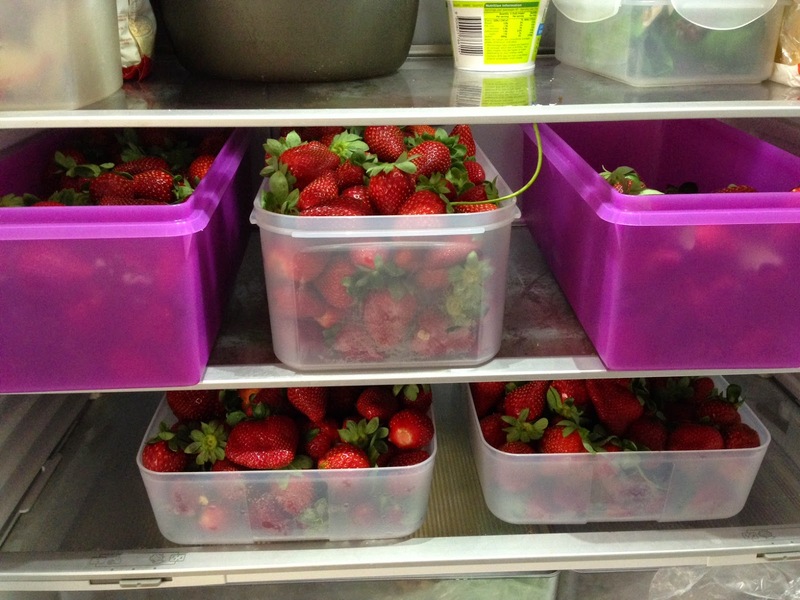 Boxes of strawberries in the piling up in the fridge. Boiling strawberries with scum on the surface. This is the strawberry syrup! Hurray! The good news: Most of the strawberries were distributed to family & friends.